We are throwing our doors open for enthusiastic kids who want to spend time socializing, learning, having fun and building skills. If engaging time for kids is what you are looking for, register today! Activities Planned: Kids can get creative building robots in teams as they spend an evening getting acquainted with the world of code. What can the parents do? You have 2 options. Drop your kids off at our activity center and spend some ‘me’ time getting coffee or pampering yourself. Else, you could stay back and watch your kids play, make friends and learn at lightning speeds! If you have any questions regarding the play-dates, please drop us a whatsapp message on +65 9068 4060. We’d love to hear from you and see how we can make this a more fun-filled experience for your little one. Tip : We encourage you to Share This With Your Inner Circle to get other moms to sign up too so that this could be the perfect play-date for your kids and friends. P.S. 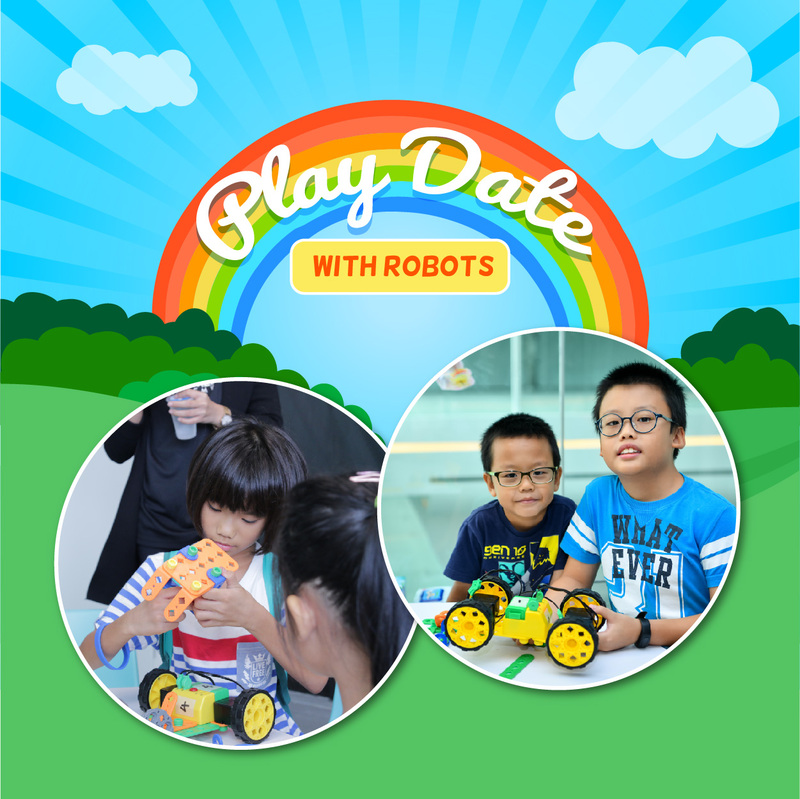 Take a look at our available slots for play dates and book TODAY! For slots beyond what’s available, write to us directly at Enquiry@Futurereadyacademy.Com and we will make it happen.